Just a quick note of apology for being gone so long (about two months, maybe three). I’m still feeling pretty good most of the time, but my cancer does seem to tire me more quickly and I tend to let things slide more, even things that are important to me. Also, there were two grandchild birthdays in December, plus multiple holiday events for which I also helped prepare food. Some of my doctors are about an hour away so it takes about half of a day to pick up mail and see the doctor and pick up prescriptions for that particular doctor. For more info on my cancer see “My Cancer Journey” on my website: aletakaynovels.com. I will post an update there when I finish here. I am going to make a concerted effort to be more consistent with this blog. Thank you very much to all of you who continue to visit. It means a lot to me. Next Post Lily: A Short Story, has reached the last 50! Chicken in a Blizzard . . . STEP OUT, BE BOLD, BELIEVE BIGGER! Who I Am: A former introvert, a klutz, a foodie (especially junk food, but trying half-heartedtly to break the addiction). I've wanted to be a writer ever since I read Nancy Drew books in elementary school. My dad wanted me to be a secretary. He said writers don't make any money, but secretaries do (not!). I was a homely kid, shy, awkward, and bullied by some girls. No self-confidence until I got to know Jesus my Savior. I like people, care about people, and want to be a friend, not just a writer/author. This blog is a showcase for my writing, as well as an attempt to follow other writers and photographers. This blog is also about sharing ideas and encouragement. I write inspirational fiction about real life situations, trying to show how God wants to help us through difficult times if we will only let Him. God hates sin but loves the sinner, which we all are. Married 46 years, 2 kids, 6 grandkids. Author of 2 novels, working on a trilogy, children's picture books, and more. Love my God (Jesus), family and church. 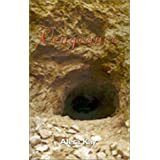 "Vengeance" is is in the process of a total re-write including new title so is not currently available unless someone is selling their copy. "Mending Fences" available in e-book format from Amazon.com. It is contemporary inspirational family drama. Currently working on a trilogy family saga spanning four generations. Working title: The Peace River Chronicles. Coming soon: my own author website. "Words Bring to Life Your Dreams, Fantasies, and Ideas!" A place for writers and readers. LIFE IS BEAUTIFUL. LIVE IT WELL.